If you are like most men, the thought of scraping a sharp razor against your sack is probably the furthest thing from your mind. However, with a little bit of guidance (and some plain old common sense), it doesn’t have to be that way. 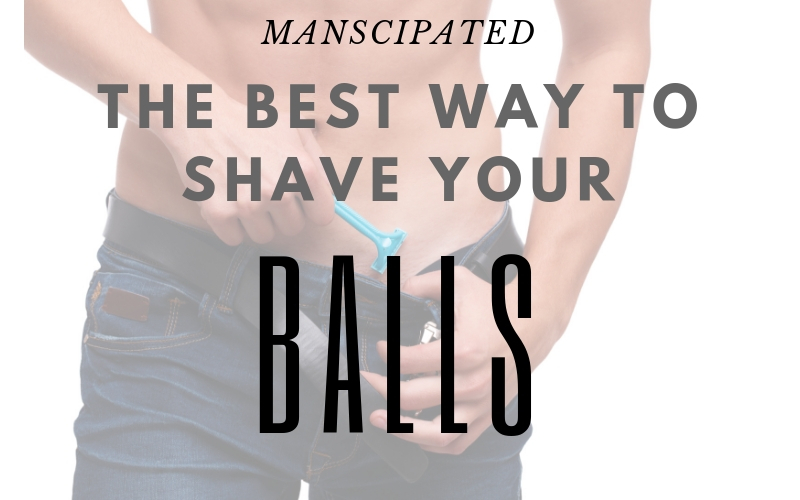 When it comes to shaving your balls, there is a right way, and a wrong way. If you want your balls to die an excruciating death by a thousand cuts, then use this method. Warning. It’s not for the faint of heart. Your skin on your shaft, balls and your pubic region is very sensitive. This makes it prone to pseudofolliculitis barbae, otherwise known as ‘barber’s itch’ or razor burn or bumps. You can get away with using just your razor (as long as its in good condition) to shave your shaft and balls in the shower, but you must not do this to manscape your pubic hair around your twig and berries. You will irritate the skin and get razor bumps. Let’s say that you have got quite a lot of hair growth down there and you are looking for something of a total manscaping makeover, which means you are removing most of your pubic hair. The worst thing you can do right now is to just go at it with a good razor. You want your berries to be nice and hairless, but at the present moment, you’ve got quite the bush. You need to trim up first. You can also grab a trimmer and do the same thing, which I have found to be more efficient. You don’t need to use the guard, but I would advise against it if you are a noob. Time to bust out the razor. When it comes time to actually shave, a few tips. Some guys like to lather up, and then stand next to the sink and go at it. There is nothing wrong with this but it’s a little messy. What we have found to be a good alternative is to simply do your shaving in the shower. You won’t need any shaving cream (it will rinse away anyways), but you do need to wash up first. Let’s go over your technique. You can’t simply shave your balls the way they are. There is too much loose skin everywhere and you will cut something. What you have to do is, grab it with your free hand and pull the skin upwards or in different directions, and then shave that part that is now stretched. When shaving anywhere in your pubic region, make sure to use very gentle strokes. This isn’t your chest. This will take some time as believe it or not, you have quite a bit of skin down there. Don’t get frustrated if you have missed a few hairs here or there. It happens. Stretch out your skin in different directions and make sure you have got everything. The shaft is a little bit easier. You can also lop off unwanted hair but tugging at your member and then gently shaving. Shaving any areas around your twig and berries? As this area is very prone to razor burn, be extra prudent here. Pull your skin, and try shaving in the direction that your hair grows. This will reduce razor burn. When shaving, you almost have to barely touch the surface of the skin here. Most men push too hard on their razor. When you do this you actually take a little bit of skin off the top part of your epidermis, causing tons of irritation. You want to kind of ‘drag’ your razor over you skin. Very light. Like I said before, your pubic region is very sensitive. If it was just a matter of being extra careful, you wouldn’t be searching for the best way to shave your balls, would you? Next, (and I highly recommend this), exfoliate your pubic region. At the very least give it a very good washing. This will remove any shaving cream residue, gunk or dirt still there. You should want this area to be as clean and oil-free as possible to remove any changes of razor burn. Lastly, consider throwing or rubbing some body powder on your boys. Not only will the body keep your boys fresh, but it will also reduce moisture and oil build-up, again reducing any chance for razor burn. Check out this article on how to apply and use body powder. You might want to actually try a home waxing kit when it comes to hair around your twig and berries if you are going for a smooth look. 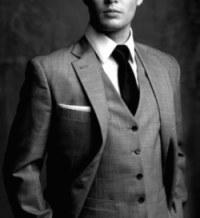 The hair just grows back too fast and you will get a stubble within a day or two. If you just want some good trimming, a body trimmer will suffice. If you are looking for a slightly-different (but also solid) method for shaving your balls, check out Alpha M.’s YouTube video on the subject. You need to keep your body razors and your any razors you use on your face separate. Never use them interchangeably. Secondly, it’s a great way to swap bacteria from one part of your body to the other. As noted elsewhere on Manscipated, simply using your toenail clippers for your fingernails (and vice-versa) can lead to infections and health complications (however small the chance may be). Always keep your razors separate. Thirdly, it will dull out your razors more quickly, especially when you use them for any part of your body. Using a razor dulls the blade, and a dull blade makes for a poor shave. Keeping your razors separate will allow you to use the same blade for a much longer time. Now that that is out of the way, let’s get to the point. When it comes to the best razor to shave your balls, you’ve got a few good options. You also have some bad options. These are things you need to steer clear from. Reason: Clog with hair and lather way too easily. The blade also dulls very quickly. Reason: Your pubic skin is very sensitive and will nick and cut easily. Besides, do you really want a sharp blade down there? So, if you shouldn’t use a cheap disposable or a safety/straight razor, what is the best choice? In my opinion, you’ve got two very solid choices. Gillette Body Razor – An inexpensive, three-bladed razor with lubricating strips and a thick ergonomic handle that allows you to shave your man-parts easily. If you are shaving (instead of trimming), this is an excellent choice. The main advantage to this disposable razor is it’s handling ability as opposed to the razor quality. It’s rather cheap, but its overall a good product. Gillette Mach 3 Turbo – No, this isn’t designed for your pubic region however it’s a very solid razor overall. The reason we are recommending this to you is that it’s slightly smaller than the body razor, and a little bit easier to wield if you are going all out smooth over every nook-and-cranny. The main advantage of this razor over something like the Bod Razor is its enhanced lubricating strips and anti-friction coated blades. So, if what you are looking for is razor quality and shave over anything else, this would be your ideal choice. Last but not least, always, 100%, make sure you wash up well. Use a good antibacterial soap and maybe even an exfoliator (around the twig and berries). It is very easy for pores to get clogged here after a manscaping session or two. You don’t want it looking like you’ve got STD problems after all! Trim up your pubic area using a decent body trimmer.